One of the things that strike me ever since I came to Singapore is that it is truly a Garden City. ” No roads has been left uncovered and no vacant land within the city left unplanted with shrubs ( W.Y.Chin and C.Richard, 1986).” Thanks to those big trees on campus I am able to survive the intense heat of the sun. There is one interesting feature on the tree that you might have observed before as well. Above: An algae covered tree in PGP Residences. Below: “Rusty” trees seen outside Raffles Hall of Residences. After a closer examination, the orangy stuffs that look powdery from far, actually appear to be quite rough. Some patches looks like a rough orange carpet covering the bark, while some looks somehow like overcompressed breadcrumbs. Now it looks like some fungus or lichen. Since this question has been bugging me, I decided to find out the identity of the rusty patches. So…. It appears that the rusty orange patches are actually green algae! It’s not uncommon that algae lives attached to the trees, but what surprised me more was that it is actually classified under GREEN algae! Green algae, phylum Chlorophyta, now belongs to a well-established monophyletic group, Viridiplantae, in which the terrestrial plants are also included. This species of green algae comes from the order Trentepholiales and the genus of filamentous green algae, Trentepohlia. Algae under this order are usually subaerial algae which are adapted to live on substratum like natural rocks, concrete walls, plastic nets, tree barks, fruits and leaves (Rindi F. et.al., 2009). Some of the algae under this order are actually lichenised-algae. Trentepholiales attached to the subtrata via filamentous hyphae and reproduce via spores. Closed up: rough crust-like Trentepohlia sp. carpet on a tree trunk. Now why is it in the same family as the green algae while it appears to be orange? Algae of order Trentepohliales produce large amount of carotenoids (which is also a component of chlorophyll), such as beta carotenoids and haematochorome. These pigments gave the algae their charateristic bright yellowish orange or red colouration. Trentepohlia sp. is well distributed across the humid tropic region. Since the algae has chlorophyll pigments hence the ability to photosynthesize and the host plants do not show any signs of malnutrition or being parasited, the interactions of these green algae with the tree most probably are commensalism. While for non-living substrata, I was thinking that it too, merely serve as a host. However, these green algae actually post problems to substratum like the concrete wall. Pigments produced by Trentepholia sp. caused local erosion like pitting and discoloration of wall when present as biofilm (Gaylarde P. et.al., 2006). Okay, doubts cleared. Hopefully next time when you stumble across some trees with strage orangy trunks, you will know that it is actually algae growings instead of rust ! Hugh, T.W.Tan et.al.,2007, The Natural Heritage of Singapore 2nd Edition. Prentice Hall, Pearson Education, South Asia Pte. Ltd. Singapore. Corlett, R. and Chin W.Y., 1986, The City and The Forest: Plant Life in Urban Singapore. Singapore University Press, National University of Singapore. Have you ever wondered how does Nemo‘s crib looks like? Here it is! The giant carpet anemone, Stichodactyla gigantea, are commonly found in the shallow intertidal sand flats of Singapore’s southern shores. Usually growing up to 50cm in diameter, the S. gigantea is an opportunistic predator and scavenger. (R.Tan, 2009) It is capable of stinging and devour any fishes or invertebrates when brushed against its tentacles containing cnidocytes. (MarineBio.org, 2010) However, it also forms symbiotic relationship with other organisms such as zooxanthellae and false-clown anemonefish, generally the Amphiprion spp. The False-clown anemonefish, Amphiprion ocellaris, is often seen to be associated with the giant carpet anemone in Singapore. 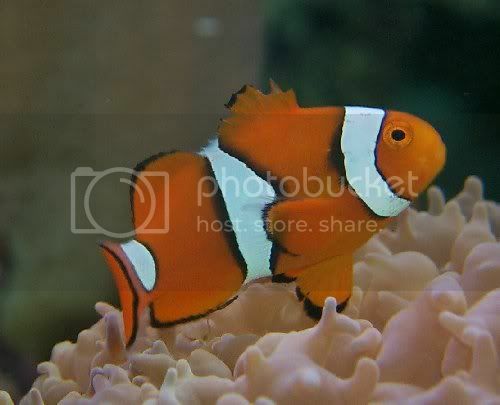 (R.Tan, 2009) It resembles closely to the TRUE clownfish, Amphiprion percula, except that Percula has only 10 dorsal-fin spines while Ocellaris have 11. (MarineBio.org, 2010) Moreover, they also can be differentiated by their iris whereby Percula has orange iris that make their eyes look smaller and Ocellaris have orange-grey iris and make their eyes look bigger. 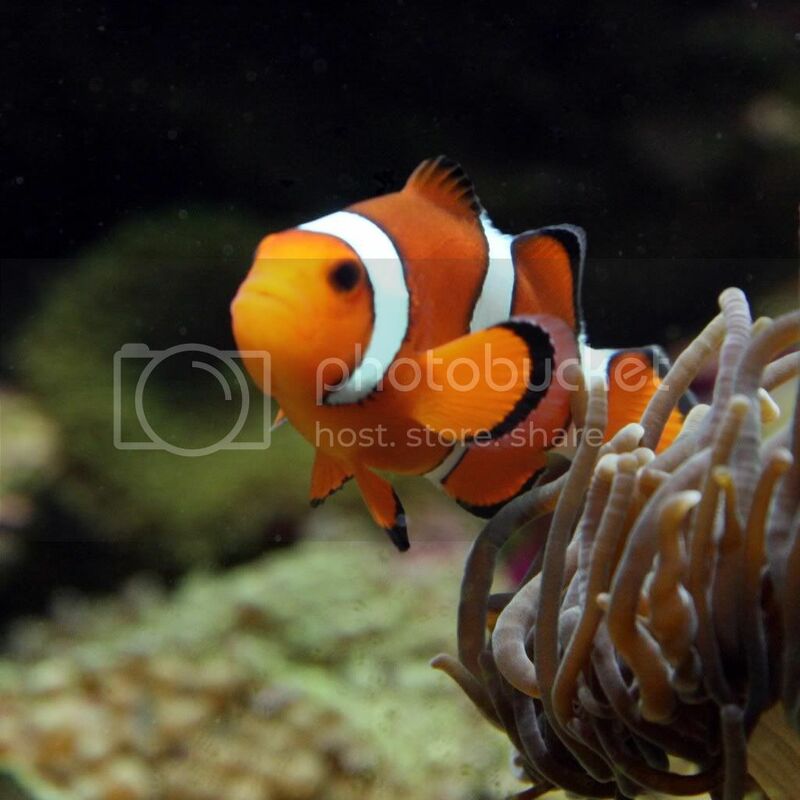 Amphiprion ocellaris, Clown Anemonefish – MarineBio.org. Retrieved on 15 April 2010, from http://marinebio.org/species.asp?id=29. While looking for organisms at the Labrador Rocky Shore, I was amazed by a little crab with a big sponge on top-Sponge Crab (Cryptodromia tuberculata). These crabs usually have an ability to shape a living sponge into a cover especially at night when it is safer. They use their pincers to cut and trim the sponge to fit into their carapace, and then use their modified hind legs which bends over its back to carry the sponge cap over their dorsal surface (Wicksten, 1993). In some cases, the sponge is made bigger than the carapace, so that the crabs do not have to change the sponge when it decays or when the crabs moult (McLay, 1983). The sponge crab and its sponge have an interesting interaction. The sponge provides food and shelter for the crab to protect it against unfavourable conditions like currents (McLay, 1982). It also serves as a camouflage from predators (Wicksten, 1985), allowing it to blend in with the surrounding and thus escape from predators. Some sponges also secrete secondary metabolites as a defence against predation on them (Bell, 2008). These chemicals have a foul smell which may help to confer defence for the crab too. As the sponges are sessile, they can benefit from this relationship when the crab moves them around. They may obtain more food through filter feeding and need not compete for living space when in other areas. As the crabs are specific in the type of sponge species they use, they can help in the selective asexual propagation of the sponge when they move around (McLay, 1983). This association somehow benefits both parties, and when they are separated, the sponge can still survive by itself. As for the crab, if possible, it may utilise ascidians (sea squirt) such as those from Polycarpa sp. (McLay and Peter, 2007), or even a rubber flip flop, otherwise, it can hide under the reefs. Thus, the relationship is likely to be facultative mutualism based on this. However, what happens in the long term if the crab really cannot find any cover? Bell, J.J. (2008), The functional roles of marine Sponges, Esturine, Coastal and Shelf Science, 79(3):341-353. McLay, C.L. (1982), Population biology of the Sponge Crab Cryptodromia hilgendorfi (Dromiaeea) in Moreton Bay, Queensland, Australia, Marine Biology, 70: 317-326. McLay, C.L. (1983), Dispersal and use of sponges and ascidians as camouflage by Cryptodromia hilgendorfi (Brachyura: Dromiacea), Marine Biology, 76: 17-32. McLay, C.L. and Peter, K.L.N. (2007), Revision of the Indo-West Pacific Sponge Crabs of the Genus Petalomera Stimpson, 1858 (Decopoda, Brachyura, Dromiidae), The Raffles Bulletin of Zoology, 55(1):107-120. Wicksten, M.K. (1985), Carrying behaviour in the Family Homolidae, Journal of Crustacean Biology, 5(3):476-479. Wicksten, M.K. (1993), A review and model of decorating behaviour in Spider Crabs (Decopoda, Brachyura, Majidae), Crustaceana, 64(3):314-325. “Seeds of Sweet Granadilla,” by Chrisbliss. SugarHead, 13 may 2010. URL: www.sugarheadblog.com/blog1/2008/05/13/ (accessed on 14 April 2010). “Female (left) and Male (right) Vargula hilgendorfii,” by Abe. Source of Wonder, 29 September 2003. URL: http://umiho.net/efiles/1umiho.html (accessed on 14 April 2010). At first glance, one would presume this to be an egg or maybe the seed of the sweet granadilla. But no, this is the Vargula hilgendorfii (in Japanese “umi-hotaru”), literally means sea-firefly (Abe, 2003). Formerly known as Cypridina hilgendorfii, this marine luminescent ostracod is found at the Pacific coast of central Japan (Vannier et. al., 1993). Defined by a transparent bivalve carapace and a soft body within, consisting of 7 specialised pairs of appendages (Abe, 2003), this completely nocturnal ostracod behaves as predators of living prey such as polychaete annelids (for instance, sandworm), and as opportunistic scavengers on dead animals such as fishes and squids (Vannier et. al., 1998). “Vargula hilgendorfii Feeding on Sandworm,” by Abe. Source of Wonder, 29 September 2003. URL: http://umiho.net/efiles/1umiho.html (accessed on 14 April 2010). Located on the upper lip region is a yellow luminescent organ which emits the blue light seen as a spiral-pattern emission during a “courtship dance” (Vannier et. al., 1993). However, it has been observed that most males exhibit luminescence to threaten predators such as the striped eel catfish, stinging eel catfish, blue swimming crab and three-spot swimming crab, rather than for courting females (Henmi et. al., 2002). In this defence mechanism, luciferase reacts chemically with luciferin substrate when released into the seawater, emitting a blue light in the process that distracts approaching predators (Katsumi et. al., 2000). “Luminescence of Vargula hilgendorfii,” by J. Day After Day, East of Sun, West of Moon, 12 October 2004. URL: http://sun-moon0.blog.drecom.jp/monthly/200410/ (accessed 14 April 2010). Watch a video on “ Vargula hilgendorfii Electric Stimulation,” by Ostraking. YouTube Channel, 6 July 2009. URL: www.youtube.com/watch?v=nXaMC9LVG04 (accessed 14 April 2010). Besides predation, the V. hilgendorfii is also often inhabited by small crustacean ectoparasites, for instance Onisocryptus ovalis (Vannier et. al., 1993). Researchers Vannier et. al. (1993) observed that these parasites cling on to the dorsal region, close to the heart of the V. hulgendorfii. This preferential location might be due to the seventh limbs (cleaning appendages) of V. hulgendorfii reaching this site less often, and hence, a lower chance of them being dislodged (Katsumi et. al., 2004). Vannier et. al. (1993) research also revealed that the flattened and arcuate appendages of the O. ovalis seemed to have adapted to the ectoparasitic lifestyle and the morphology of its host. However, the V. hulgendorfii do not seem to remove these parasites even though they are feeding on the food debris off the host body surface or tissue fluid excretion. “Vargula hilgendorfii female with eggs in ovaries and parasite Onisocryptus ovalis on dorsal part of ostracode body,” by Vannier. The Crustacean Society, 1 February 1993. URL: http://www.jstor.org.libproxy1.nus.edu.sg/stable/pdfplus/1549122.pdf (accessed 14 April 2010). These parasites might just be establishing a symbiotic relationship of commensalism with the V. hulgendorfii. However, what is more significant and certain is that, the V. hulgendorfii functions as an important nutrient recycler in the marine ecosystem (Vannier et. al., 1998). Katsumi, A., Jun., H., 2004. Reproductive strategy of an isopod Onisocryptus ovalis, parasitizing a bioluminescene myodocope ostracod Vargula hilgendorfii. Hydrobiologia, 419(1): 191-196. “Sea-firefly,” by Ade. Source of Wonder, 29 September 2003. URL: http://umiho.net/efiles/1umiho.html (accessed on 14 April 2010). Vannier, J., Katsumi, A., 1993. Functional morphology and behaviour of Vargula hilgendorfii (Ostracoda: Myodocopida) from Japan, and discussion of its crustacean ectoparasites: preliminary results from video recordings. Journal of Crustacean Biology, 13(1): 51-76. Vannier, J., Katsumi, A., Kyosuke, I., 1998. Feeding in myodocopid ostracods: functional morphology and laboratory observations from videos. Marine Biology, 132(3): 391-408. …then laughing round the clock must be most satisfying! There’s at least one Collared Kingfisher (Todiramphus chloris) around my block who laughs its heart out during the day, sometimes even at 2.00 a.m.! Have these diurnal birds suddenly developed a penchant for a nocturnal lifestyle? If not, what could be the cause of their activity at night? Collared Kingfisher (Todiramphus chloris) at Changi Beach (own photo). Light pollution, it seems. It never gets completely dark in urban areas of Singapore thanks to the multitude of streetlights. Apart from increased activity, birds may also be induced to feed into the night, disrupting their normal circadian rhythm. Life cycles could be impacted as well. In a study done on European Blackbirds (Turdus merula), breeding occurred earlier and finished later for urban-dwellers as compared to those in rural habitats (Coppack & Pulido, 2004). However, it is not only diurnal birds that are affected. In the case of nocturnal migrants, navigation is done by using the moon and stars. Disorientation is inevitable with light pollution, and birds may end up crashing into buildings (Guynup, 2003). On the other hand, daytime noise may also be keeping the Collared Kingfisher awake at night. Traffic during the day contributes to ambient noise with which birds must compete with when they communicate by calling. Urban European Robins (Erithacus rubecula) compensate for daytime noise by singing in the same areas at night. The same study also found that daytime noise had a greater effect on nocturnal singing than light pollution did (Fuller et al., 2007). However, kingfishers are not songbirds, so light pollution may affect them more…or it could be a whole different ball game altogether. The fact that these kingfishers only increased in range to urban areas in recent times (Tan, 2001) could explain why they seem to be the only ones calling at night – the others are already used to nights in semi-darkness. “Light Pollution Singapore,” by S. C. Chan, 2005. URL: http://lightpollutionsg.tripod.com/ (accessed 14 April 2010). Coppack, T. & F. Pulido, 2004. Photoperiodic response and the adaptability of avian life cycles to environmental change. In A. P. Moller, W. Fiedler & P. Berthold (Eds. ), Birds and climate change (pp. 131-147). Oxford: Elsevier Ltd.
“Collared Kingfisher,” by David Farrow. Xeno-Canto, 10 January 2006. URL: http://www.xeno-canto.org/sounds/uploaded/RNVWOVLEUN/collaredkingfishercallslwsiFarrow.mp3 (accessed 14 April 2010). Fuller, R. A., P. H. Warren & K. J. Gaston, 2007. Daytime noise predicts nocturnal singing in urban robins. Biology Letters, 3: 368-370. “Light pollution taking toll on wildlife, eco-groups say, ” by S. Guynup. National Geographic News, 17 April 2003. URL: http://news.nationalgeographic.com/news/2003/04/0417_030417_tvlightpollution.html (accessed 14 April 2010). “Collared Kingfisher,” by R. Tan. Naturia, 2001. URL: http://www.naturia.per.sg/buloh/birds/Halcyon_chloris.htm (accessed 14 April 2010). For some of us the consequences of this action is very dire – allergies in various forms such as itching, sneezing, inflamed or infected eczema, reddening eyes and even runny nose! Dust mites belong to the genus Dermatophagoides, which means “skin eater.” (Allergo,2010) They feed on animal material with high protein content especially dead human skin cells. The two common species throughout the world that are also allergenic are the Dermatophagoides pteronyssinus and Dermatophagoides farinae . In the context of tropical environments like Singapore, there is a third species called Blomia tropicanis. (Allergo,2010) However it is a misconception that it is the dust mites which are responsible for allergic reactions experienced by people. In fact, it is the droppings as well as the broken up exoskeleton which contains the antigen which triggers the allergy! The most prevalent mite species and allergen vary geographically, between homes within geographical region and even among areas in a home. The key factor that influences mite survival and prevalence is “relative humidity.” (Arlian,2007) Dust mites thrive best where relative humidity is above 70% RH and temperature above 23oC. (Allergo,2010) On average ,Singapore’s humidity level is about 89% RH. (Wunderground,2010) and therefore tends to be a hotspot for the dust mite population. Having been personally afflicted with allergy to dust mites, I am continually assaulted every time I go to bed or even play with plush toys. Dust mites have robbed my childhood! Don’t step on that sponge!!! A few weeks ago while I was on an excursion trip to Labrador rocky shore with my NUS mates, I happened to stumble upon this weird-looking crab with a sponge on it. I was initially taken aback by the movement of this sponge because as everyone knows, sponges are sessile creatures. After some clarification from our TA who is like a walking ecological dictionary to us, we came to know that it was actually a sponge crab. The sponge crab holds a living sponge on top of its shell to keep itself hidden. Carrying a sponge on their backs makes these crabs look somewhat hilarious but it is actually an effective form of protection for them. The camouflage provided by the sponge makes their detection much more impossible unless they move. It seems that even non-human species choose their ”life partners” based on so many criteria! Nevertheless, there is one thing that still bugs me. The sponge lookalike feature of this crab does not actually deter me from accidentally trampling on it. In fact, its excellent camouflage would count against its survival if Labrador shore is populated with people who are less observant! Wulff, 2006 J.L. Wulff, Ecological interactions of marine sponges, Canadian Journal of Zoology 84 (2006), pp. 146–166. McClay, 1983 C.L. McClay, Dispersal and use of sponges and ascidians as camouflage by Cryptodromia hilgendorfi (Brachyura, Dromiacea), Marine Biology 76 (1983), pp. 17–32. Woods and Page, 1999 C.M.C. Woods and M.J. Page, Sponge masking and related preferences in the spider crab Thacanophrys filholi (Brachyura: Majidae), Marine and Freshwater Research 50 (1999), pp. 135–143.